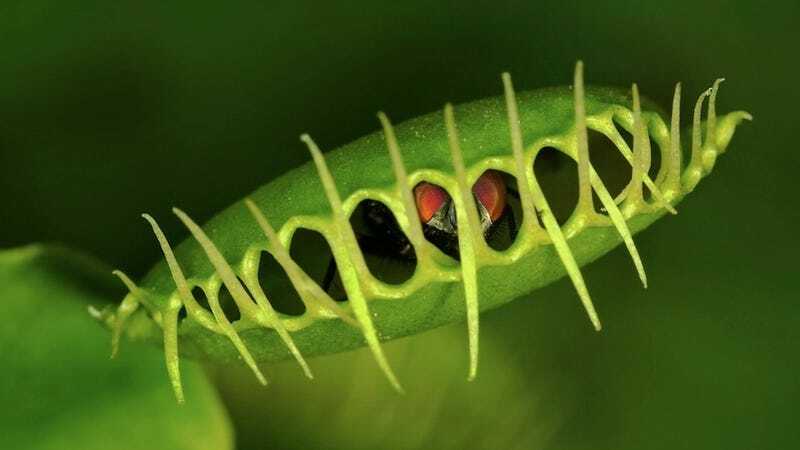 Carnivorous plants, like the Venus flytrap, are apparently becoming less bug eating and more root-using because of the pollution humans cause. Nitrogen in the air is giving them enough nutrients that they don't need to eat as many bugs. It's actually a logical transformation that us excess-loving humans might find a hard time relating to. The plants have cut down on eating bugs because they get enough nutrients from the soil. They don't need to eat more and get fat! They don't need a Super Size meal! How did this vegetarian trend start? Are naked celebrities covered in fur behind this? Not quite.